The Beautiful Ride stamp set by Catherine Pooler Designs gives endless options for fun whimsical cards that can brighten even the greyest day. Colour in the images with your favourite mediums. There are coordinating dies that are available separately, so you can pop up images and build a scene. Catherine Pooler Designs clear stamps are made from the highest quality photopolymer in the USA. 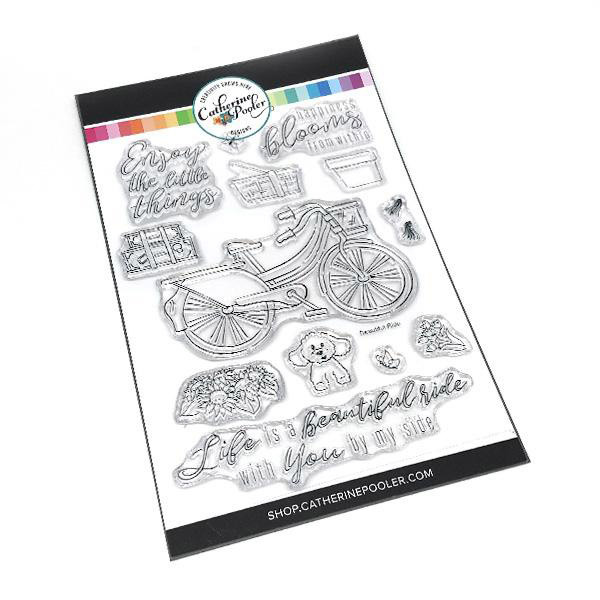 Catherine Pooler Designs coordinating dies are made from stainless steel in the USA, and are compatible with all standard die cutting machines.